Turkish multimillionaire Sezgin Baran Korkmaz has denied alleged business links with another Turkish businessman believed to be under investigation over the hiring of former U.S. National Security Advisor Mike Flynn's company to research Turkey and the Gülenists. Korkmaz was reportedly subpoenaed by the U.S. Special Counsel investigating Russia's interference in the 2016 presidential elections. "I have no business partnership with Ekim Alptekin whatsoever. This is completely false. We are just friends," Korkmaz said in a phone call. A spokesman for Ekim Alptekin also said the two businessmen weren't partners. 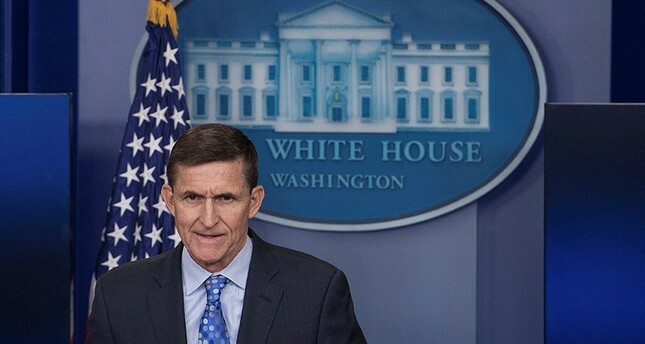 U.S. media says Special Counsel Robert Mueller has been investigating retired General Flynn for failing to register himself as a foreign agent for the government of Turkey before the November elections. Both Flynn and Ekim Alptekin, the Turkish businessman who hired his firm, dismissed claims that Ankara funded the firm's activities in Washington. A source close to Korkmaz confirmed reports that he was called to provide a testimony in front of a grand jury on September 22. Because of a logistical issue, he is expected to testify on a different date. The source said Korkmaz was cooperating with the U.S. authorities and was happy to set the record straight. ProPublica speculated last week that investigators might be interested in Korkmaz as a means of discovering the ultimate source of the money that Alptekin used to hire Flynn's firm. Both Korkmaz and Alptekin are members of the same trade group, Turkish-American Business Council. Korkmaz's company SBK, a large holding of corporations, was a platinum sponsor for the council's conference in May 2017 in Washington. However, there is no publicly available evidence that the two have any business links. A spokesman for Korkmaz slammed the ProPublica report due to its insinuations that both businessmen were present in a meeting at the Harvard Club, seen as a possible criminal link between the two. The report said: "That meeting occurred during the same week in which Flynn met with two Turkish ministers, also in New York, a gathering arranged by Alptekin. At that meeting, they discussed potential plans for the U.S. to hand over Fethullah Gülen." The spokesman said Korkmaz hosted the meeting in honor of Natalia Gherman, a former Moldovan Prime Minister and then-candidate for the U.N. General Secretary position. "More than 20 people attended that meeting. And it has nothing to do with these issues. The same night, Adventist Development and Relief Agency (ADRA) bestowed an award on Mr. Korkmaz for his philanthropic activities," the spokesman added. The spokesman also alleged that Yalçın Ayaslı, a Turkish-American millionaire businessman who has multiple investments both in Turkey and the U.S., had an opposition research paper with false information about SBK prepared and distributed to journalists, including the author of ProPublica report. Sezgin Baran Korkmaz has sued Ayaslı for allegedly selling his Turkish aviation company Borejet without disclosing its large amount of debt. Since then the two businessmen have been in an open-ended battle. Ayaslı's lawyer, Ümit Hergüner, confirmed that his client had his U.S.-based lawyers hire researchers to prepare a report about Sezgin Baran Korkmaz. "As far as I understand Dr. Ayaslı shared this text with some people he saw suitable. All the information referenced in the file is publicly available. But I don't think the ProPublica reporter had any knowledge on this file," he said. Korkmaz's spokesman said the ProPublica's report had factual mistakes such as his age. "My client isn't 39 years old. The report specifically mentioned the dismissed court cases about SBK's partners as an attempt to smear him," the spokesman added. ProPublica declined to discuss the allegation.